Today’s Father’s Day printable’s are brought to us by our contributor Sinziana from Sparkling Shoes Girl. Hello everybody, I am glad we meet again. I hope you all are doing great and enjoy summer as much as you can. I must confess that I am not the biggest fan of summer (is to hot for me) and I have also had a very busy period this months (yuck…) but I try to manage all things. Ok, let’s see what I have for you this month. 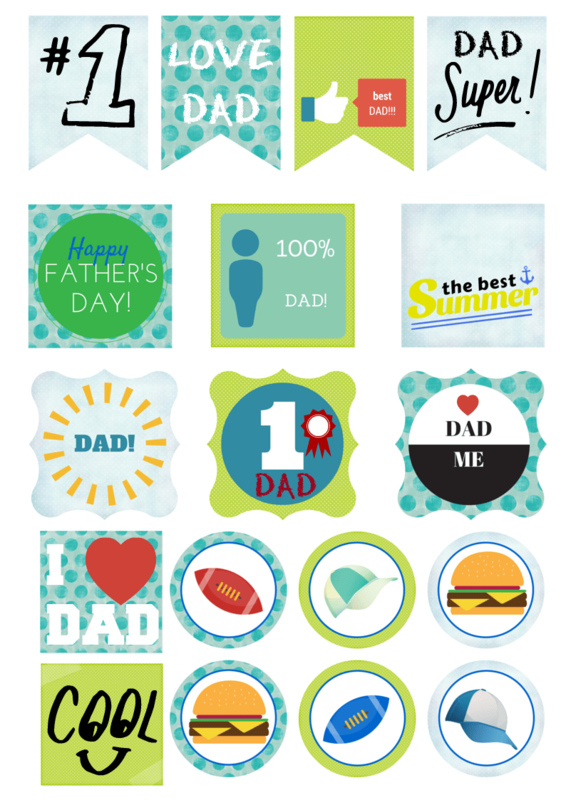 To be part of the Father’s Day holiday I chose to make some cute party printable’s for this special occasion. As you all know, Father’s Day is a celebration honoring fathers and celebrating fatherhood, paternal bonds, and the influence of fathers in society. Many countries celebrate this special day on the third Sunday of June, though it is also celebrated widely on other days by many other countries. For the first time, Father’s Day was celebrated in the United States in the early 20th century to complement Mother’s Day in celebrating fatherhood and male parenting. And of course, similar to other special days, Father’s Day is a time to celebrate, feast and party! 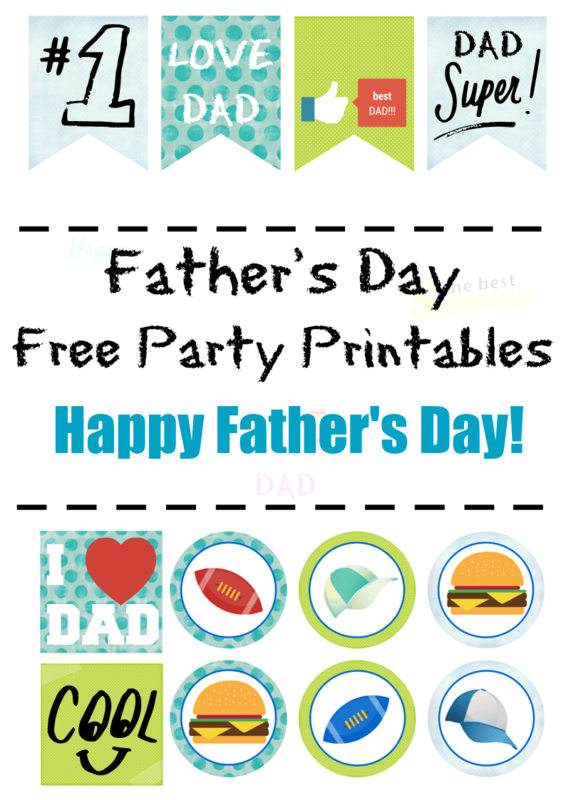 And if you will celebrate your father with a party this year I am sure you will like my free party printable’s. In order to be easy to use, I chose to make a single file with multiple designs that can be used as cupcake toppers, party tags, labels, gift tags or anything else you want. I am sure you will like the variety of shapes and designs! To save the file in your computer, just click the image below…then print, cut, decorate and PARTY! Do you celebrate Father’s Day? Do you intend to hold a party this year? If yes, what do you think about my designs? I hope you like them and have a great Father’s Day party! As for me…my dad’s birthday is 3 days before Father’s Day so I celebrate with him once for 2 occasions! This is all for this month, thank you for reading my posts and visiting this great website!